You may have seen the hashtags #purealpes #puresun #puresnow #pureair #puremountains amongst others being banded about on social media. So what is all this #pure, what does it mean, does it exist in real life and if so where is it? The boring answer is that #purealpes and all the other #pures are strap-lines for a new brand , “Alpes French South” that has been launched to promote the Southern French Alps. The more interesting answer is why and also how it relates to the reality of this Alpine destination! France is divided into regions and departments and the “Provence, Alpes, Cotes d’Azur” region is the particular region of interest here. You will have heard of Provence and already your brain will be conjuring up images of fields of lavender swaying gently in the warm summer breeze. You will also know about the Cotes D’Azur and the jet set beach resorts and cities of Nice and Cannes. You will have heard of the Alps but you are probably imagining the ski resorts and cable cars of Chamonix , Val D’Isere and Morzine and the snowcapped peak of Mont Blanc. The reality is that the Alps or Alpes with an ‘e ‘ in French is a long mountain chain that stretches right down the east of France from it’s border with Switzerland in Geneva to Nice on the Mediterranean coast. The Alps mountains in the Provence Alpes Cotes D’Azure region are often usurped by the northern Northern Alps in publicity about the Alps and dominated by Provence and the Cotes D’Azur by media focusing on their home region. This isn’t helped by the fact that the region is cut up into different administrative departments, so the actual geographical area of the #purealpes is split up and its tourism and marketing managed by separate administrations! Oh don’t you love French bureaucracy! This new brand was launched in February 2018 to give this magnificent and understated part of the Alps it’s own identity as a geographical area and one message to span across the different administrative centres who manage it! What is so Special About the #PureAlpes? There are so many things that make the #PureAlpes special that it will be difficult to give them all the credit they deserve in this short blog so I will focus on my personal reasons for choosing this part of the Alps as the main base for Undiscovered Mountains holidays. I chose this part of the Alps after several years researching and travelling all over the French, Austrian and Swiss Alps for somewhere that would be a good base for mountain based outdoor activity holidays in both summer and winter. The 300 days of sunshine per year, which is almost twice as much sun as the Northern Alps, was probably the most important factor. The high altitude and carefully chosen locations for the #purealpes 68 downhill and cross country ski resorts guarantees the snow for the winter, but who wants snow without sun? Nothing beats sipping a beer on a snowy terrace in the sunshine after a day of winter sports. 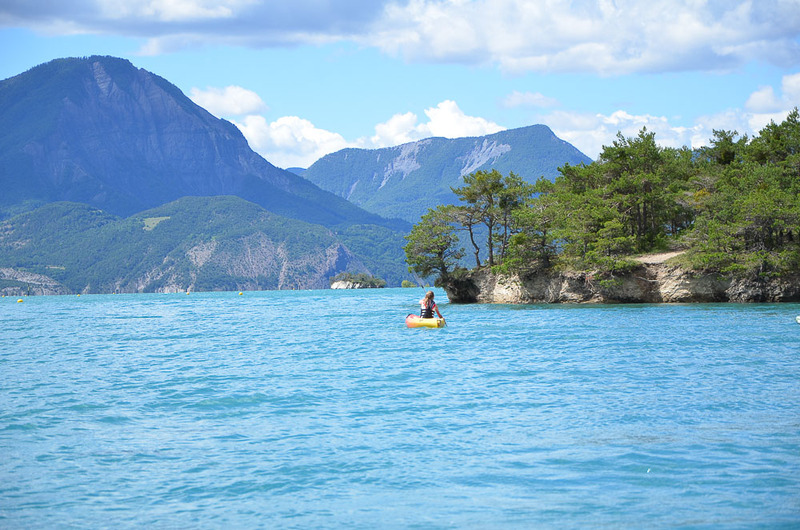 For summer it’s a no brainer – to get into the melting glacial rapids of the Alpine rivers and canyons, it needs to be hot, no-one wants to climb in the rain, and even if we are activity holiday fans, a bit of sunbathing by the lake to get a tan is still on the holiday agenda! The hot summer days of the Southern French Alps are paradise and thanks to the altitude, it is cool enough at night to ensure a good night’s sleep. The #purealpes is essentially a rural alpine area that hasn’t changed that much. The farming community is strong and active and quality local produce is available in abundance everywhere. People are proud of their local traditions and culture and there are many events and festivities organised throughout the year to celebrate and share this passion. Although tourism is becoming one of the most important economic factors in the #purealpes it is a long way from being a tourist factory and being a foreigner is still a novelty in some places! Thanks to the variety of landscapes, the wonderful weather and the entrepreneurial, fun loving spirit of its inhabitants this part of the Alps is for me the adventure capital of France and a true multi activity mecca. In Spring Summer and Autumn there is everything from water sports, to world class paragliding and high mountain alpinism all within an hour of each other. 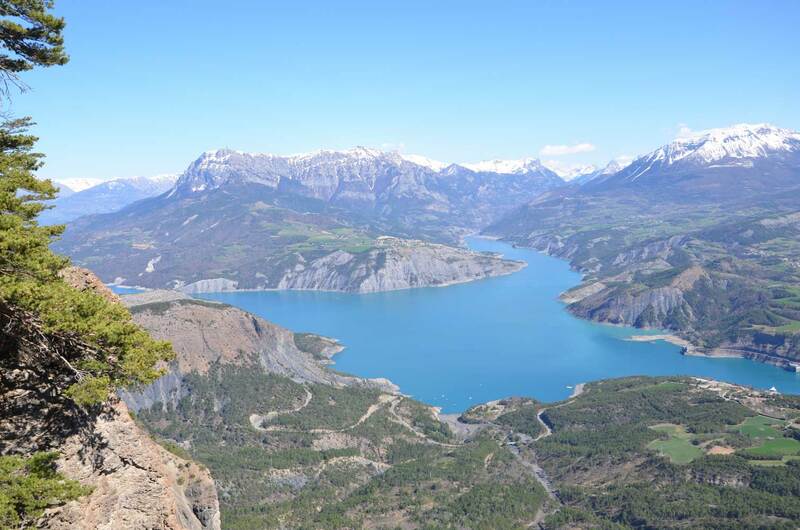 The Serre Poncon lake, with its 28km2 of turquoise blue waters nestled against a stunning mountain backdrop is a magnet for all manner of water sports lovers from sailors to kite surfers to windsurfers and stand up paddlers. The white water kayaking here is world famous and attracts thousands of kayakists and canoeists in the Spring and early summer to paddle the Guil the Ubaye and the Durance amongst other rivers. Recreational white water enthusiasts can go rafting, hydrospeed and air boating to get their roller coaster ride on the bouncy white water rapids. Another global claim to fame for the area is for air sports with Tallard aerodrome attracting light aircraft enthusiasts, gliders, hot air ballonnists and skydivers from around the globe and St Vincent les Forts, a bucket list destination for all paragliders. 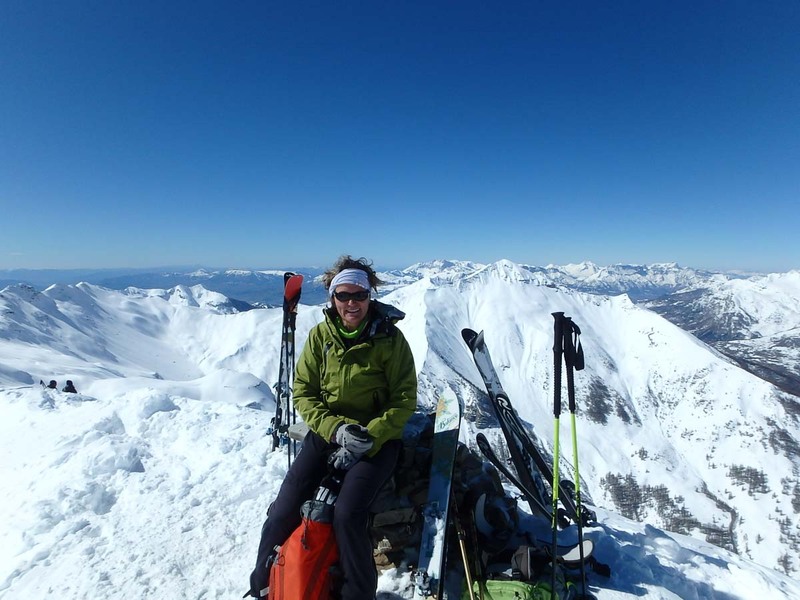 In the world of mountaineering, there’s the Barre des Ecrins and la Meije but also many lesser known peaks and summits where mountaineers can climb in relative peace and quiet. I haven’t even talked yet about cycling and the many famous Tour de France passes and climbs in the region or mountain biking, e-biking or walking or all of the many other activities on offer like tree climbing, via ferrata, canyoning, horse riding, rock climbing, caving, via souterrata… - ever heard of that? Well you can only do it in the Southern French Alps! You can do any of these activities on our fully customisable summer activity holiday. Winter is equally diverse with of course the 68 alpine ski and cross country ski areas but also a vast network of snowshoeing routes, Nordic ski routes, ski touring and backcountry ski tours, world class ice climbing, husky sledding, fatbiking, as well as some unique activities like igloo building and sleeping in an igloo, a night in a mountain refuge, snake sledding, a giant tyrolean zip line …. And more! 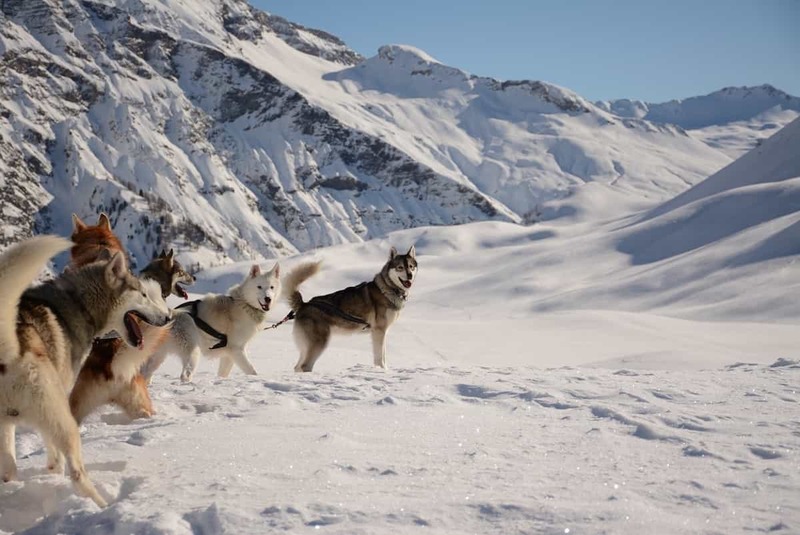 Have a look at our winter multi activity holiday for a fully customisable holiday trying a range of winter activities. This part of the Alps is home to seven national and regional nature parks and two geological reserves. The national park status protects the areas from human intervention so they are a haven for nature with over 2500 species of plants including 200 rare species. 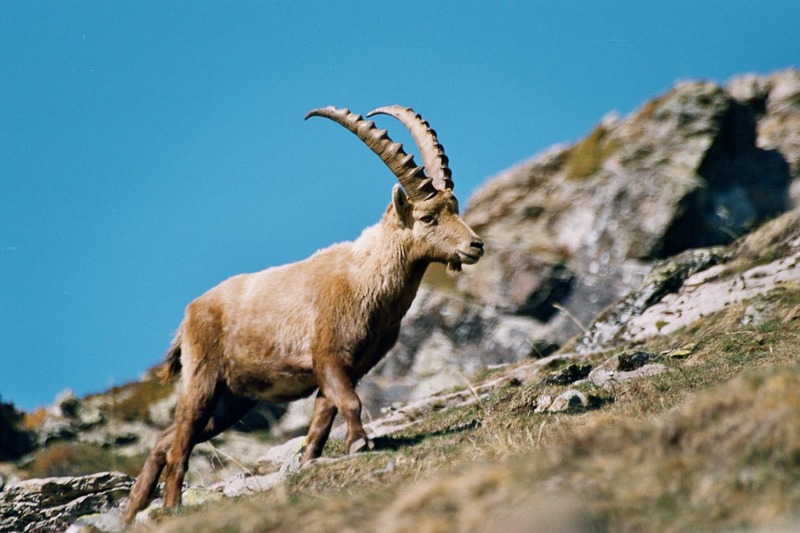 The diversity of flora provides for a wealth of animals, birds, insects and butterflies including some of our favourites, chamois, ibex, marmottes, ptarmigans, vultures and golden eagles to mention but a few. More recently the come back of the wolves has made headlines in the Southern French Alps and their success is largely thanks to this richness and diversity of prey available in this area. An added bonus is the clean air. There are no heavy industries in this area and the air is famously clean and, thanks to it’s climate, low in humidity, which makes it a perfect respite for asthma sufferers. Since living and working here since 2006, all these reasons have been reinforced tenfold and I have absolutely no regrets about my choice! For me the Alpes French South brand with its #purealpes #purepeople #puresun #puremoments and #pureanything strap-lines capture the identity of this part of the Alps perfectly! For other fans of this untouched, understated and gobsmackingly beautiful multi activity paradise of the Alps, I urge you to use the hash tags in your social media posts too!